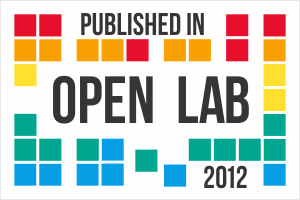 ← Science Online 2012: The Music Video! Those of us in science like to envision our profession as a noble (“Nobel”?) calling, above the petty squabbles that taint other endeavors. The reality, of course, is that science is susceptible to politics just like any other field. One can argue that, as a community, we tend to rise above such things in the end, but each of us inevitably has some sort of eye-opening introduction to political ploys. Even the greats have had their moments when their idealistic views were first tempered by a dose of cynical reality. A particularly amusing anecdote is related to the great physicist and chemist Michael Faraday (1791-1867), when he first applied for a position with the famous chemist Humphry Davy. Early in his life, the odds were stacked against Faraday ever even starting a science career. His father was a poor blacksmith working in the very class-regimented English society, and scientists were drawn from the upper-class and wealthy elites. Early on, Faraday himself certainly didn’t imagine he would eventually be a giant of science: at age 14 he began a seven-year apprenticeship as a bookbinder to binder and seller George Ribeau, and it probably seemed he was destined for such a humble career. The book business gave Faraday opportunities to read widely on a variety of topics, however, and he became inspired to study science thanks to the book Conversations in Chemistry, by Jane Marcet. 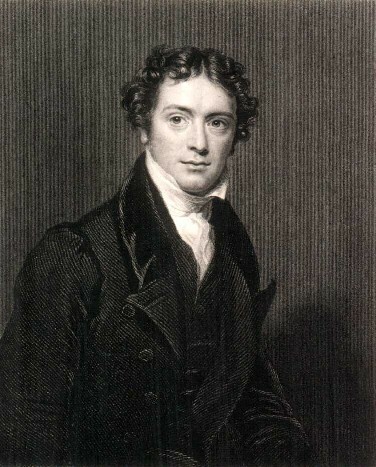 Faraday started implementing his own simple experiments in chemistry and electricity and, with his master’s blessing, attended some public lectures on natural philosophy by one Mr. Tatum. In 1812, as Faraday’s apprenticeship ended, a contact he had made at the bookshop gave him the opportunity to attend lectures by the famous chemist Humphry Davy. Faraday took detailed notes of the lectures, and was sufficiently inspired to write to the president of the Royal Society to inquire about possible employment. The official response to the porter who brought Faraday’s letter to the president was, “no answer”. 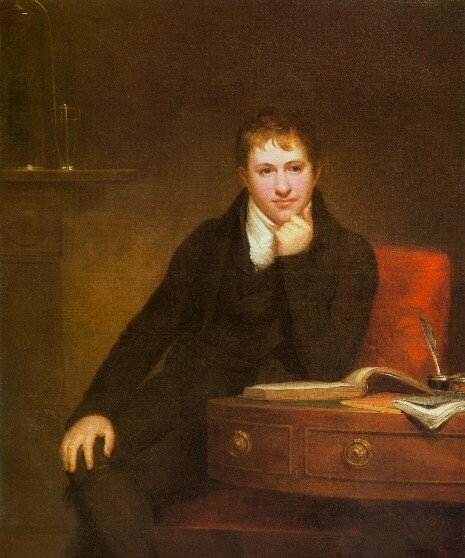 My desire to escape from trade, which I thought vicious and selfish, and to enter into the service of Science, which I imagined made its pursuers amiable and liberal, induced me at last to take the bold and simple step of writing to Sir H. Davy, expressing my wishes, and a hope that if an opportunity came in his way he would favour my views; at the same time, I sent the notes I had taken of his lectures. Sir,– I am far from displeased with the proof you have given me of your confidence, and which displays great zeal, power of memory, and attention. I am obliged to go out of town, and shall not be settled in town till the end of January; I will then see you at any time you wish. It would gratify me to be of any service to you; I wish it may be in my power. I am, Sir, your obedient humble servant, H. Davy. You will observe that this took place at the end of the year 1812; and early in 1813 he requested to see me, and told me of the situation of assistant in the laboratory of the Royal Institution, then just vacant. At the same time that he thus gratified my desires as to scientific employment, he still advised me not to give up the prospects I had before me, telling me that Science was a harsh mistress, and in a pecuniary point of view but poorly rewarding those who devoted themselves to her service. He smiled at my notion of the superior moral feelings of philosophic men, and said he would leave me to the experience of a few years to set me right on that matter. (Emphasis mine!) This passage paints a deliciously delightful picture in my mind: young, innocent Michael Faraday being humorously schooled on the realities of scientific labors by a more experienced and cynical Humphry Davy! The rest, as they say, is history. From his humble position as an assistant at the Royal Institution, Faraday would go on to make fundamental contributions to physics and chemistry, including the unification of electricity and magnetism and the demonstration of the link between magnetism and light. This little anecdote is wonderful to me because, at the same time it hints at the cynical politics in science, it highlights the graciousness of one of its participants! Without Davy’s faith and kindness to Faraday, it is likely we would never have been exposed to Faraday’s brilliance, and physics may have progressed at a much slower pace. 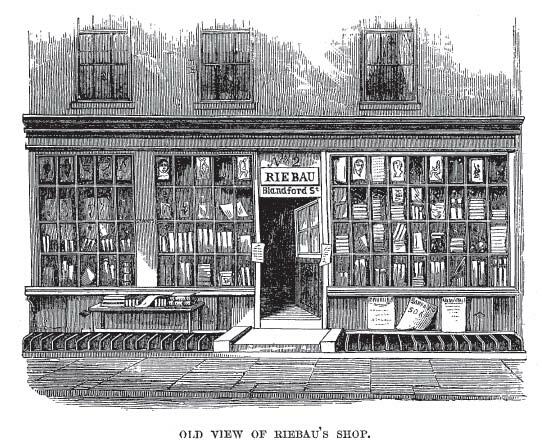 Quotes and image of Ribeau’s shop taken from Dr. Bence Jones, The Life and Letters of Faraday (J.B. Lippincott and Co., Philadelphia, 1870). I encountered the politics of science during the research for my MSc dissertation. Halfway my advisor changed jobs, and i was left under the advisorship of his greatest rival in the lab, who then left me alone and refused to even read a single word or look at a single graph of what i wrote. To solve that problem, i had to assemble a ‘shadow’ advisory team, consisting of other people with expertise in my field who couldn’t officially help me because they had been too friendly with my former advisor :). On top of that, as my new advisor was high up in ranks in the Biology department, everybody was too scared to help me. Yikes! That sounds awful! I’m glad that you were able to finish up in the end. Students should really be warned early in their careers to take into account any departmental politics when planning their degree. I really got lucky in my choice of advisor. I haven’t read it — I’ll have to take a look! Thanks! For me, my first sense of how politics drives science was when the Superconducting Super Collider (SSC) project was handed to Texas, rather than appending it to the existing accelerators at Fermilab in Illinois. When SSC went wildly over budget and died, it basically killed High Energy Physics in the US. The world’s attention has now turned to CERN, whereas SSC, if it had been implemented correctly, would have been completed over a decade ago and would have had 4 times the energy of the Large Hadron Collider. Ah, I remember the SSC debacle well! I can’t recall — were you in the group during the meeting when Bruce was going to Washington to defend the SSC, and everyone was trying to decide what to say to save it? That was a fascinating discussion, because the researchers were a little flabbergasted that it wasn’t self-evident that the research to be done was important. Were you also studying to become a theorist then? No, that experience was back when I was convinced that I wanted to be a high-energy physicist! Actually, the realization that large HEP groups meant that politics was unavoidable was part of the reason I switched over to a small theory group. Smaller group makes sense (and no doubt adds to your sanity). Makes me glad I ultimately went into financial math, a pure perversion of applied science! I represented the physics students in a committee of students and teachers that dealt with problems and complaints in the department of physics and astronomy. The astronomy representative was off to some telescope or other, so some astronomy students had come to me instead with a concern about a professor. It was obvious that this guy’s strengths didn’t lie in teaching, and the students had reason to fear trouble on a core course. I was a bit baffled. Even more so when prof 2 cornered me the day after in the halls to warn me about stepping outside of my jurisdiction. So I did what any shell-shocked undergrad would do and ran to my tutor’s office for tea and comfort. She thought the entire episode hilarious. And explained that prof 1 and 2 couldn’t help it, really – they were both fellows of research colleges and apparently there was nothing more damaging to your research reputation than a good teaching review. Ugh! That sounds really nerve-wracking and awkward — I’m sorry! 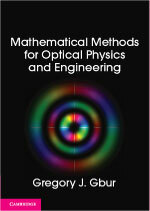 I compiled my graduation thesis for year and a half, based on experimental data from CERN. Little did I know that my academic advisor was on hostile terms with the chief of the examination commission. I made an open thesis presentation and invited anybody who’d like to attend (professors and undergrads). Although there was a flurry of questions, I answered diligently each one. The guests from the national academy of sciences congratulated me, expecting that I would get an A, but it turned out that the chief of the examination commission had forced his decision upon the commission and I ended up with C+. Ugh! That’s awful! I’m sorry you had to put up with such nonsense. I’m past that now and I really enjoy your blog. It’s great to have prolific authors like you around. Thanks — and thanks for sharing your story. I think it’s good for folks coming up through the ranks in academia to see the sort of crap they should watch out for. Mine is about dealing with a slightly “unconventional” lecturer who decided it was a good idea to stalk me and make sexual advances on me. Lab politics eat your heart out! I managed to get out of the department, but, I DO NOT want to study there again and hope I didn’t make it worse for me for reporting it! I am currently studying for an MSc. Ugh, that’s awful! I hope things are working out better for you now. I’ve been busy myself with coursework and the like, but, I have encountered a second (female) scientist who is a narcissist (or Jekyll and Hyde character). I seem to see them quickly and get a tad annoyed by it all. I have struggled to get to where I am (I am still trying to do an MSc or in the states an MS) and these “people” seem to come. I can’t believe this person has the nerve to talk to me about forum manners and titles when she bangs on herself on how great she is? (for the record I call the lecturers Dr or Professor) and she herself was rude and totally unprofessional. If she tries this again, I will report her to her seniors, I have no time for lecturers who behave like that! LOL, you started the post about “politics of science” and I come up with this!